And then her sister died. 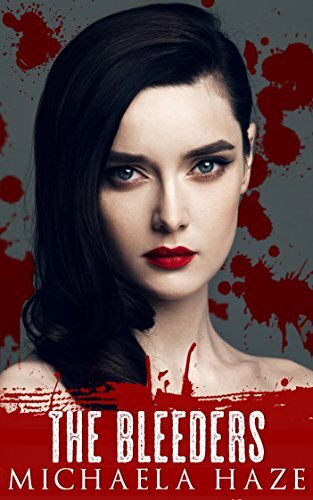 Sophia fell into a deep, dark depression to which she is sure only vengeance against her sister’s murderers can possibly release her. This book is a somewhat hard one to review - which is appropriate because it is a hard book to read. Sophia does not lead an easy life. She suffers from extreme mental illness - depression, schizophrenia. She is pulled down by alcoholism. Most of this is triggered by the tragic death of her pregnant sister and her inability to get over this as well as her rage at the men she considers responsible for this. Sophia is a deeply damaged and hurting person and a lot of the book examines this. Her struggle with her mother, her struggle with mental illness, her alcoholism, self-harming, pushing friends away who care for her, her house denuded of all furniture for fear of invoking her sister’s memory while still maintaining a shrine to her sister. I also really like how even the base of her tragedy - her sister’s death and even her mother’s callousness are all just a bit more complex than she initially presents in her complete obsession. I like that, I like that things aren’t as simple as her angry, hurting mind portrays and that there are layers to her experiences which go beyond simplistic villains who hurt her. Her obsession over Henry leads her to another, far darker place, one of addiction and desperation and again there’s a lot of interesting layers here. On the surface it feels almost empowered, she’s strong and capable and determined, she has friends, she knows what she wats and aggressively pursues it. But her friends are fellow addicts and she would willingly discard any of them if she had to. Ultimately when she is not feeding her addiction her life feels empty and broken and she hits a terrible level which shows just how hollow her apparent strength is. It’s teased out in excellent scene after scene as addiction, obsession and delusion combine toxically for her and bring her down again and again. There’s one POC - a room mate of Sophia’s and a fellow blood addict, but no real inclusion beyond that. She briefly has a female friend who supports her and there are characters around the periphery of her life (another friend who shows how well he’s doing by getting on with his life while her’s is falling apart) but the focus is very much on Sophia and Henry, mainly Sophia, leaving every character outside of that somewhat periphery. Still, no LGBTQ characters and only one POC in London is far from great inclusion. I’m left thinking it’s a good book, but not a fun book. It’s a powerful book, but not an enjoyable book. We’re following a hard and dark chapter in someone’s life. It’s no light, fluffy, fun, amusing or even entertaining. It isn’t a book you pick up with eagerness or put down with regret - relief perhaps, but not regret. But it is powerful and impactful - it is hard to read precisely because it is willing to dwell on the pain and loss in such detail. It seems almost shallow to mention given the power of the book but… it also really needed an editor to give it a once over.